Cassie Deacon is currently a 2 nd year Masters of Social Work student attending San Diego State University and is excited to be included in the HRSA GWEP Alzheimer’s MSW Stipend program. Cassie has experience working with older adults, particularly individuals with dementia or Alzheimer’s, as a certified nursing assistant, dementia practitioner and volunteer coordinator from 2013-2016. The experience of working with hospice and palliative care illustrated the great need to support older adults and families through the disease progression and provide community educational resources to vulnerable populations. During the 2016-2017 Academic year, Cassie is interning with Alzheimer’s San Diego, a cornerstone within the community to providing community education and resources to persons with dementia as well as providing support to their care partners and families. Within this role, Cassie will be assisting with support group facilitation, community education initiatives, grant writing and assisting families in accessing resources within Alzheimer’s San Diego. 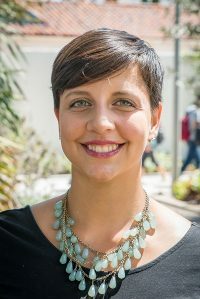 Cassie is very gracious for the opportunity to represent San Diego State University as an integral part of a professional interdisciplinary team focused on supporting older adults throughout San Diego County!